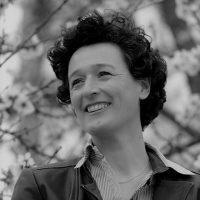 Claire Stam is a journalist in Novethic (the Green media of responsible economy – le média vert de l’économie responsable). Nearly 30,000 people took to the streets of Berlin on January 18, 2014 to protest the industrialisation of farming and the E.U.-U.S Free Trade Agreement currently under negotiation. In addition to making their demands heard, the organisers gave a voice and a face to Agrarwende, a citizen movement that is gaining steam in Germany and that calls for a rethinking of agriculture.